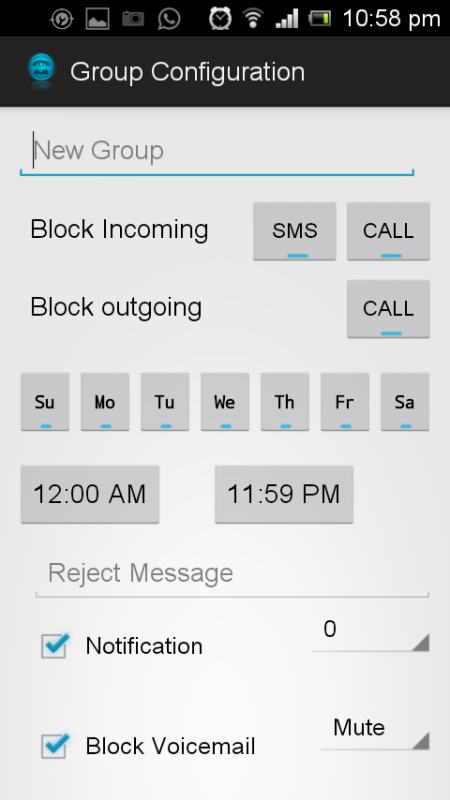 Call Manager is an Advance Call and SMS blocking Application. 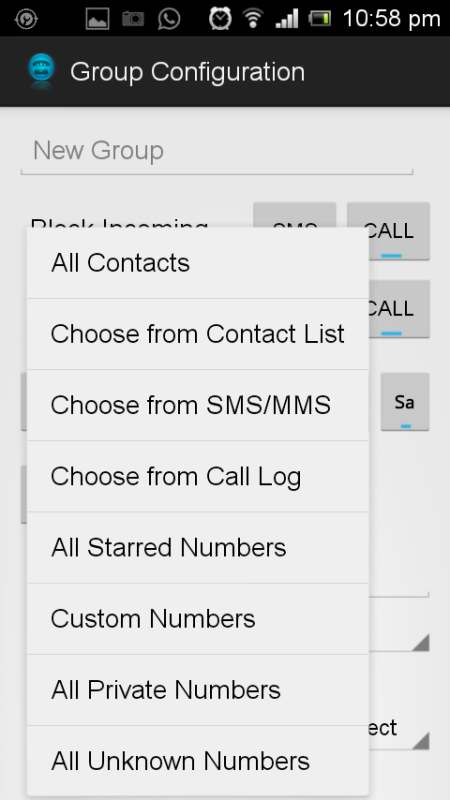 Its features are: 1) can be used to reject or silent call/sms i.e. 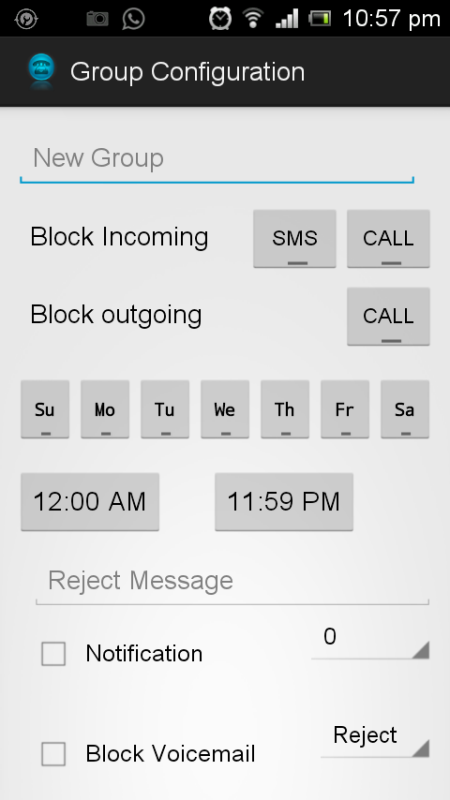 call blocker and sms blocker 2) options to block All, Private, Unknown, Specific and Custom Numbers 3) can be set for particular week day and time period. 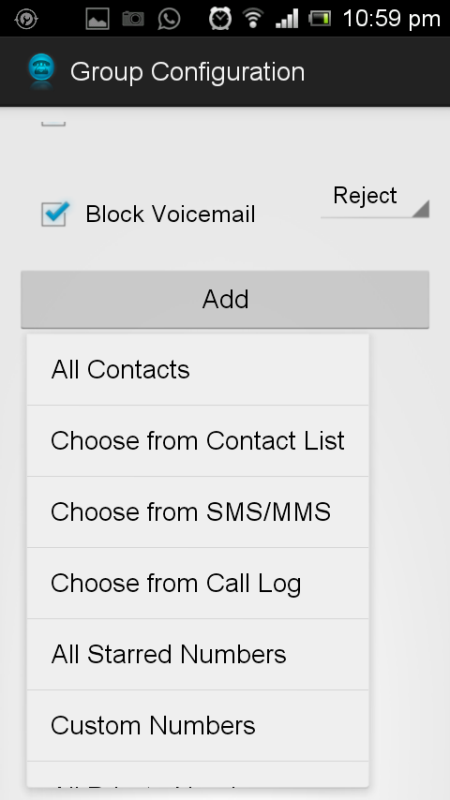 4) allows reject message also 5) notifications can be configured for blocked call/sms 6) super fast in blocking Note: Message blocking does not work for Kitkat and Above.